A castle was built here around 1190 as a stronghold on the river bank, and in 1370 this castle was converted into a Palace on the orders of King Charles V. This was demolished in 1527 and a Renaissance design was planned for Francis I, completed during the reign of Henry II. Further developments continued until in 1667, the 183 meter long eastern facade was built. This was the first major work of the Baroque-Classical movement. 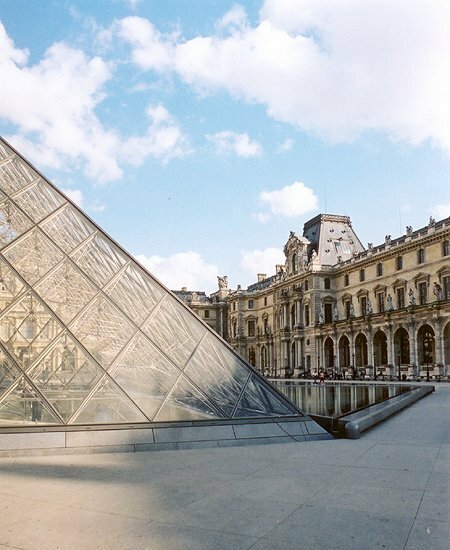 In 1678 the royal residence moved to Versaille and the Palais du Louvre became an art gallery. 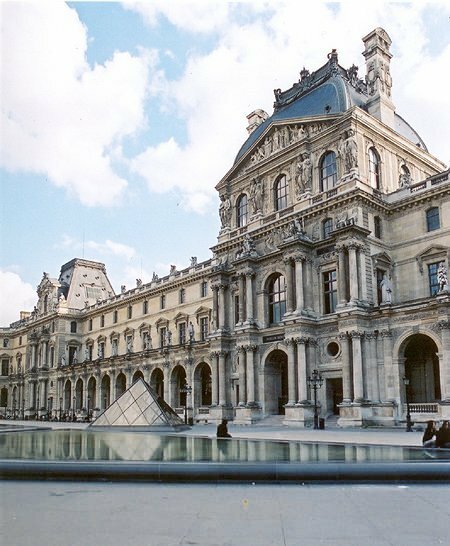 The Lourve became the “Museum Napoleon” in 1803 and further work was completed along Rue Rivoli. 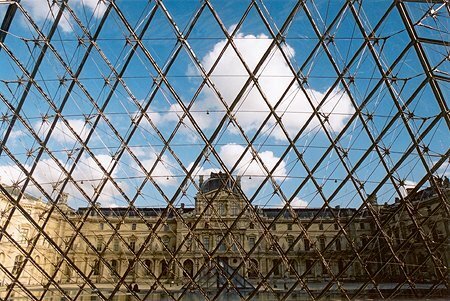 During the reign of Napoleon III, the Tuileries and the Louvre palaces were linked and further courtyards completed. In the 1980s, Chinese-American architect I.M Pei designed the celebrated pryamid in the main courtyard. This leads into a new central circulation space for the main wings of the galleries and as a visual centre point for the vast sprawling exterior. Apart from the galleries, there are many grand reception rooms in the Palace. 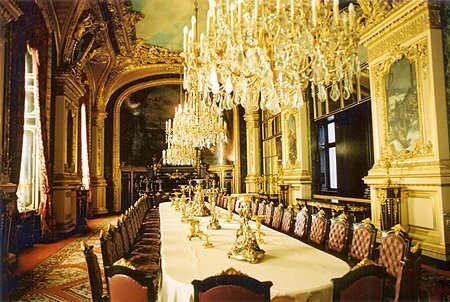 Napoleon III also had his state apartments here, which are open to the general public. 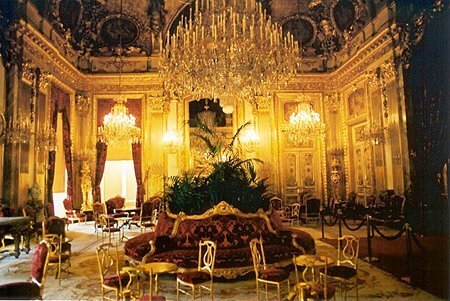 In an extremely ornate and luxurious style, these rooms express the power and wealth of the French state at this time. 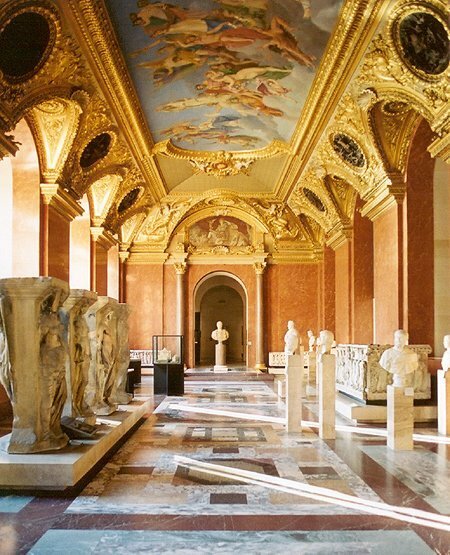 The interior architecture of the Louvre is also worth viewing especially the rooms in the 18th and 19th century wings. 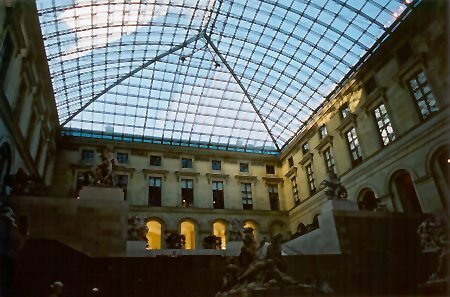 Several 19th century courtyards were roofed over during the reorganisation proposed by I.M Pei. These roof constructions were designed by G. Duval, M. Macary, and Jean-Michel Wilmotte. The courtyards now provide some massive internal spaces for the display of large sculptures and architectural remnants.